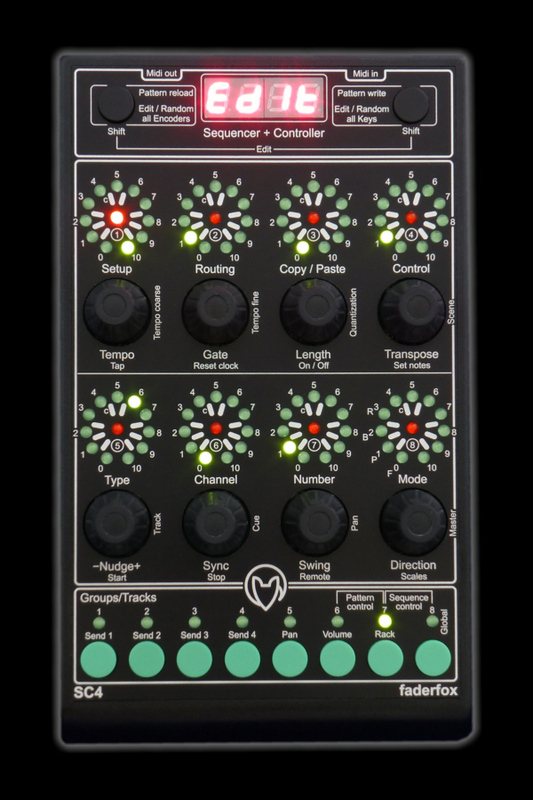 Faderfox announces the release of two new universal MIDI micro-controllers and monophonic sequencers, the SC4 and PC4. The Faderfox PC4 is a universal MIDI and USB MIDI controller equipped with 24 knobs in a 4 x 6 matrix with 7-bit resolution. A special switchable Snap feature avoids value jumps on all the knobs. 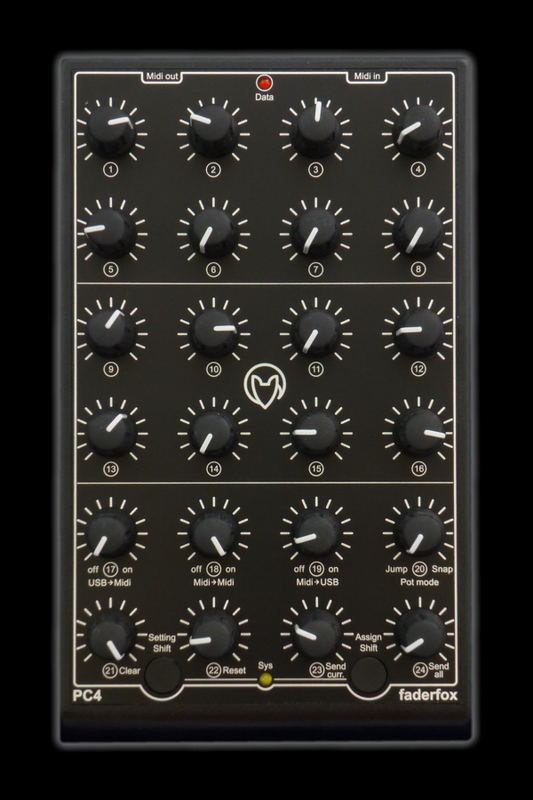 Thee switchable MIDI routings are available as well as 16 memory slots for your setups. Note that you can also backup and restore settings via Sysex. The PC4 is equipped in MIDI in/out and USB ports, so you can control hardware and software simultaneously. The price of the unit is 199€ incl. taxes. 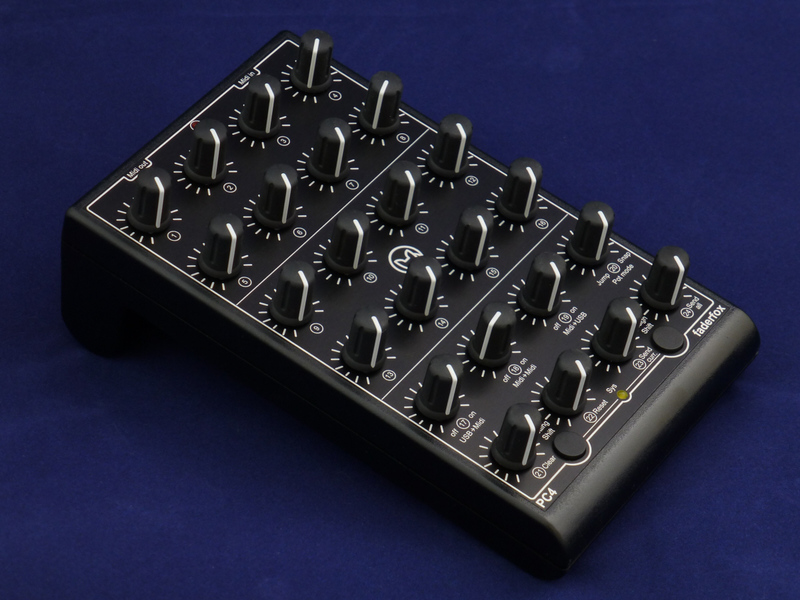 The SC4 combines a universal controller and an 8-track / 8-pattern monophonic sequencer. It features 8 encoders with push, all switchable to 8 groups to control up to 128 parameters. These encoders are completed with LED crowns that show the current values and they support 14-bit operation. 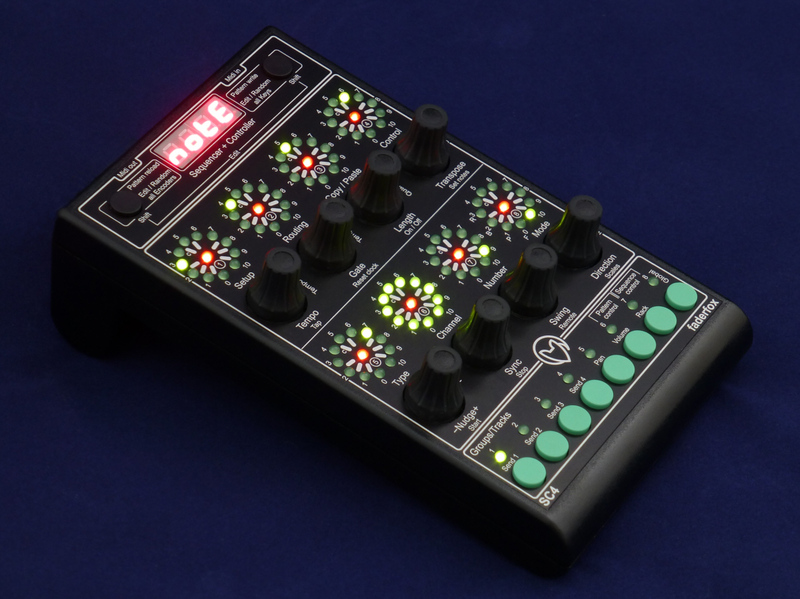 Just like the PC4, the SC4 supports Program Change, Pitch Bend and Control Change MIDI commands with relative and absolute values and various acceleration rates. A 30-setup memory is included with Sysex dum supported. 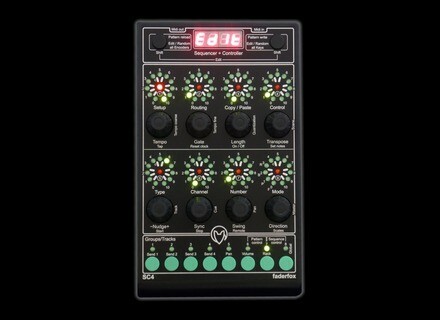 The sequencer on the SC4 is similar to the M185 made by RYK for the Roland System 100M, with additional features. You can switch each of the 8 controller groups to 7 types (note, octave, repeat, CC, accent/link, length/skip and probability). 2 special groups control various features for the sequencer and the patterns (link the 8 stages of the 8 patterns, write, copy and reload patterns on the fly). The sequencer also supports MIDI clock sync, tap tempo, clock and counter reset, a Nudge feature as well as transpose, direction and pattern and clock reset via a MIDI keyboard. Probability and random features are also included. The SC4 is also equipped with USB and MIDI connectors that work simultaneously. The price of this model is 249€ incl. taxes. DSP-GPlug, a synth in a MIDI plug DSP Synthesizers, the designer of the DSP-G1 analog modeled synthesizer, built its instrument into a MIDI plug. Edit the Moog Theremini on the iPad Moog Music offers Theremini users an editor and librarian app on the iPad. Dreadbox announces the Erebus synth Erebus, Dreadbox’ new analog paraphonic synthesizer module, will be available for purchase in December.